Made of suede-like brushed twill and full grain leather, its creamy saddle stitch trim gives this luxe, lightweight case a sharp appearance. 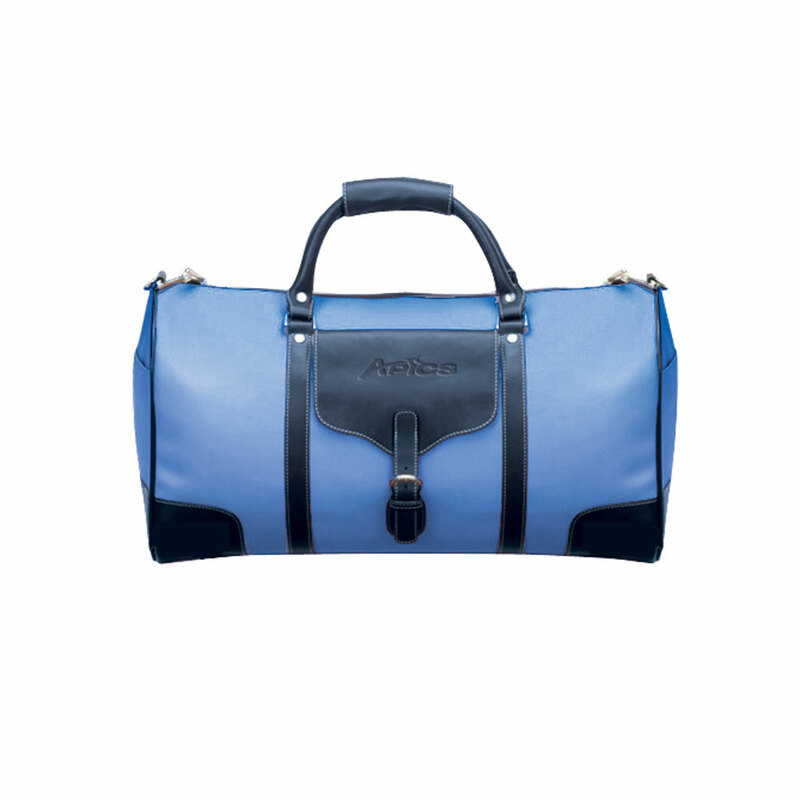 This classic case features full lining, a front flap pocket, and zip pocket inside. Also boasts a soft-grip handle, plush padded detachable shoulder strap, and four metal feet on the bottom to protect against wear. Pack Info. : 6 pcs / 47.00 lbs. Pack Note: (Dimension Weight) / 34 lbs. (Actual Weight) / 23" x 16" x 21"